Floor plan mapping Ebbsfleet station and surrounding facilitated areas. 5. How do I find out if there are any jobs available at the station? 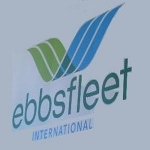 Go to the Ebbsfleet International job section and search for jobs online. Q1. Can I pre-book a car space? A. Yes, you can reserve a space by booking online. For further information on booking a car park space in advance, including durations and fees, please refer to Car Parking. Q2. What domestic services are available from Ebbsfleet International? A. The new High Speed Service, operational since 13th December 2009, connects Ebbsfleet International to a number of stops across Kent, as well as St Pancras International and Stratford International. Please see Ebbsfleet International Timetables for more details. Q3. Can I board at Ebbsfleet International instead of another International station? A. Yes, but you should check your ticket to see if this can be done, as well as Ebbsfleet International Timetables and Tickets for more information. Q4. Can I buy season tickets for travel from Ebbsfleet International? A. Yes. Please refer to Tickets for more information. Q5. Are there facilities for disabled customers? A. 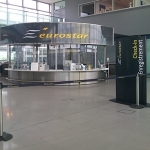 Yes, Ebbsfleet International accommodates both disabled customers, and visitors with pushchairs. There are designated car park spaces for disabled users. For more information, please see Parking Facilities.